A variety of weather is going to pop up across the country this week, ranging from heavy snow to severe thunderstorms, proving spring is a season of transition. Spring officially sprung over the weekend, which makes this the first full week of Spring. Heavy snow fell up and down the Northeast coast during the first hours of spring this weekend. 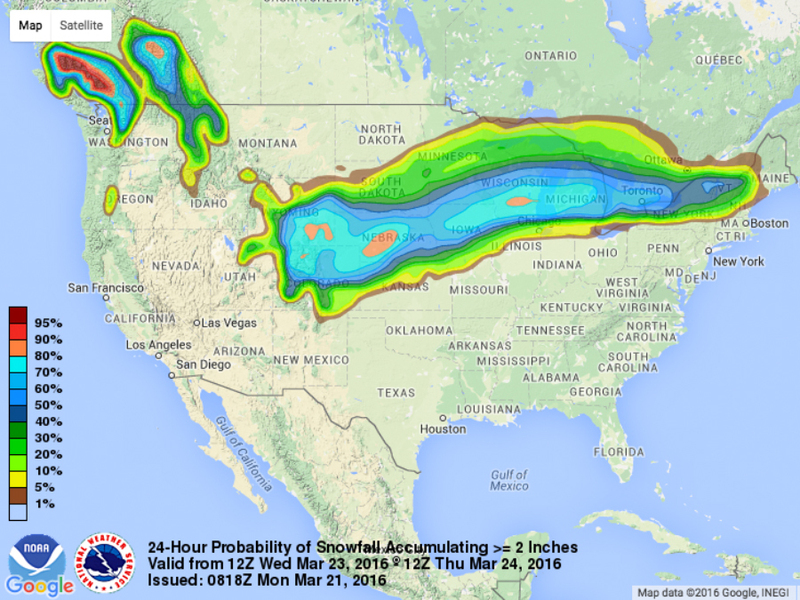 Wednesday into Thursday, a Colorado low is going to be responsible for heavy snow from Colorado to Michigan. 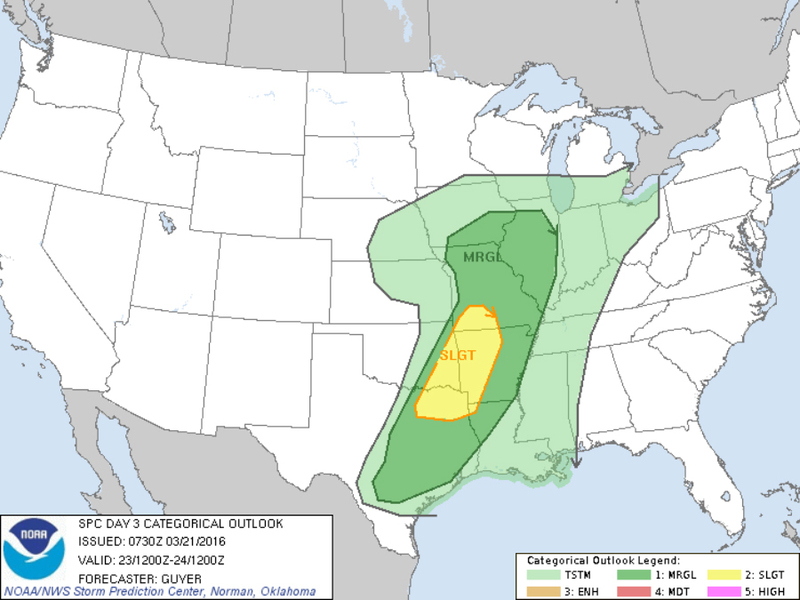 The same system is expected to bring severe thunderstorms across parts of Texas, Arkansas, Oklahoma and Missouri, too. This type of weather pattern is just the beginning. The spring season is known for its temperature ups and downs, which can lead to snow one day and severe storms the next, so you'll likely need the SnowCast app for the next round of snow and Storm Shield for any severe weather — especially over the next two months. Summer is still a season away.